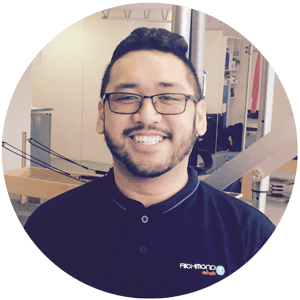 Julius has studied at Endeavour College of Natural Health to obtain a Bachelor of Health Science in Musculoskeletal Therapy with a diploma of Remedial Therapies after his second year. During his treatments he uses a very hands-on approach to his soft tissue therapies such as myofascial release, muscle energy techniques, joint mobilisation, and remedial massage, while also very competent with dry needling and cupping. Julius loves working in the Myotherapy field and enjoys putting in the effort to get a positive feedback from his clients. Julius has a clinical mind and has an holistic approach when treating clients, determining the cause and predisposing factors to come up with the best treatment plan to help fix the problem and prevent further pain.